As evidence mounts that a Pacific Gas & Electric transmission line failure caused last month’s deadly Camp Fire, and many of the state’s most destructive wildfires of the past two years, California regulators are poised to take a much deeper look at the controversial strategy of pre-emptively de-energizing power lines to possibly prevent future disasters. The CPUC has been scrambling over the past month to institute a host of new regulations and policies to manage the utility-wildfire nexus. These include several provisions passed into law by the state legislature in September, aimed at containing PG&E’s risk of going bankrupt if it’s found liable for last year’s deadly Tubbs Fire in California wine country, in addition to the dozen smaller fires that state investigators have already concluded were caused by the utility’s equipment. The new de-energizing proposal takes aim not at protecting utilities from liability, but preventing wildfires in the first place. As we’ve noted in previous coverage, California’s utilities have had the authority to issue “public safety power shutoffs” of certain parts of their grid during times of high fire risk, in the event of high winds and dry conditions, since last year. Before the Camp Fire started, PG&E considered, but ultimately decided against, powering down its grid in the areas affected by the fire, on the grounds that conditions hadn’t risen to the threat level required to institute a shutoff. 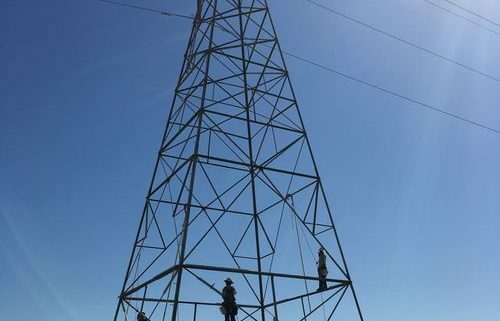 That decision has come under harsh scrutiny since PG&E reported that one of its high-voltage transmission lines had suffered an outage at a time and place close to where investigators say the fire began. Since then, more evidence has emerged that PG&E’s transmission line was at fault for causing the fire. 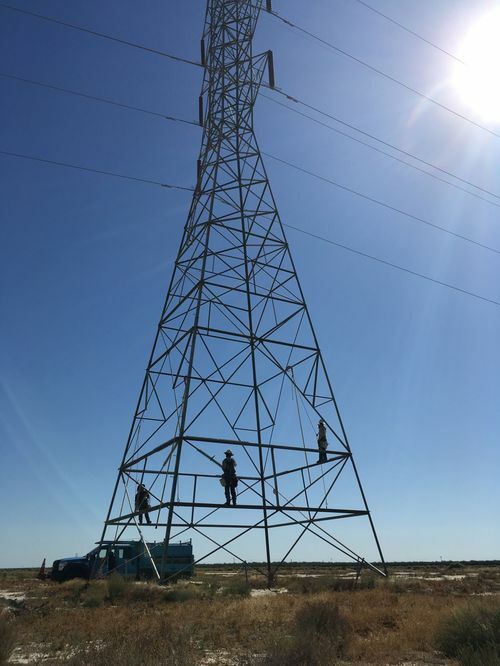 The latest news came over the weekend, when NBC Bay Area reported that investigators have determined that a steel hook, holding a power line insulator suspended from the transmission tower in question, cracked and failed on the morning the fire started. PG&E said that it decided to abandon its power shutoff plans in the days before the Camp Fire because the combination of risk factors never reached the thresholds for taking that step. But as critics such as Michael Wara, director of the Climate and Energy Policy Program at Stanford University’s Woods Institute for the Environment, have pointed out, the current rules for public safety power shutoffs aren’t aggressive enough in judging the danger of fires caused by utility equipment failure, given their preponderance as the cause of the state’s most deadly wildfires. For example, Wara noted that PG&E’s power shutoff plans are focused on its low- and medium-voltage distribution grids below 70 kilovolts — a standard that wouldn’t have led to the de-energizing of the 115-kilovolt Caribou-Palermo transmission line that malfunctioned at the time and place linked to the Camp Fire’s ignition. The CPUC first allowed utility San Diego Gas & Electric to preventatively de-energize its power lines as a response to its deadly 2007 wildfire season. SDG&E used its authority in December 2017, a move that the CPUC had decided was justified in light of the risk and how the utility managed its outreach and support during the event. Last year, the CPUC extended the same authority to the rest of the state’s investor-owned utilities, along with more detailed reporting and public notification rules. The new proposed order would extend that work, starting with two staff workshops tentatively scheduled for this Thursday, Dec. 14 in Santa Rosa and on January 9 in Southern California. PG&E, for example, instituted its first public safety shutoff last month, cutting electricity to about 60,000 customers in seven counties over two days of high winds. In its report on that incident, PG&E reported that it has received a total of 146 claims from customers who said they’d been damaged by the loss of electricity, including 25 claims of economic impacts due to business interruption and 102 claims of food spoilage or loss. These are claims the utility said it does not plan to reimburse, due to the public safety nature of the event. California Regulators Consider New Rules for Powering Down the Grid to Stop Fires, by Jeff St. John, Greentech Media, December 10, 2018.